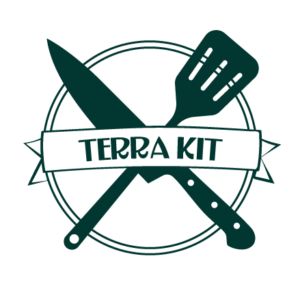 Celebrate our Earth’s culinary bounty with this Terra Kit! These ingredients highlight earthy and botanical flavors, perfect for adding richness to comfort foods or complexity to traditional dishes. Use this kit to explore international flavors right in your own kitchen, with tasting inspirations from all around the globe. Use #culinariekit to share your creations with us, or join our Facebook group to show us what you’ve cooked up! This walnut champagne vinegar from our favorite vinegar artisans Sparrow Lane is quite versatile. Its bright, nutty flavor has a subtle sweetness that other white wine vinegars lack. It works brilliantly as an acid component in cream soups, adds a complex flavor to lighter protein marinades like chicken, white fish, and tofu, and it makes a delicious nutty salad dressing when paired with nut oils. If your dish is a little bland, try adding a dash of this vinegar. Acid and salt are flavor enhancers, so a few drops of this nutty champagne vin can bring a listless entree to life. Make your brine with cheap vinegar, make your marinade with good vinegar. Brines mostly get washed away, but a good marinade can be drizzled back over proteins while cooking. Don’t be afraid to bake with vinegar! Vinegars can act as a great acid component in baked goods, like in this Walnut Shortbread Recipe from Sparrow Lane. Krista’s Baking Co. brought us this natural cane sugar infused with lavender and we were blown away! Lavender can be a tricky ingredient to work with, because its flavor and aroma is all-at-once prominent and subtle. This sugar is ideal for baking, and perfect when paired with lemon or honey. Try it in your tea for a floral sweetness! Use anywhere you would use regular white sugar for a whole new spin on baked goods. Pairs best with vanilla, lemon, and/or honey. Get creative–lots of savory dishes call for sugar, too. Try substituting for regular sugar in savory dishes that could benefit from a subtle floral aroma, like sweet-n-savory meat rubs. Za’atar is the quintessential Middle Eastern seasoning blend. It’s the heart of the earthy flavors that are present in so many of our favorite dishes from that region. Spice companies and even families typically have their own recipe, but this one from Green Point Trading Co. is ready to shake into your next dish. Use it in grains, on vegetables, or season your favorite protein. Za’atar works best when paired with a high quality olive oil to bring out the flavors without overpowering. Short on time? Set and forget some broth, Za’atar seasoning and rice in a rice cooker and have a delicious pilaf with minimal effort. Za’atar and chick peas were made for each other. Raw or roasted, toss your chick peas with a dash of oil and a sprinkle of Za’atar for a healthy and tasty snack or salad topping. This salt-and-pepper blend from Curio Spice Co. is an almost-all purpose seasoning with complimentary notes of tarragon, citrus, and ginger. Kampot is a peppercorn that hails from Cambodia and was nearly wiped out at one point in history. It has a unique flavor that certainly sets it apart from your standard black pepper. This Kampot + Salt blend is ideal for flaky fish baked in the oven. Press tofu and season with Kampot + Salt for a cold snack or salad topping. Use with SoLA Deli’s hibiscus + sage olive oil to roast carrots for a truly unique and colorful side dish. KPOP launched on Kickstarter last year, and their simple recipe intrigued over 1,200 backers. Once you taste their chili sauce, you’ll understand why. The recipe is based on the founder’s grandmother’s recipe and is an authentic gochujang spicy sauce. It’s not overbearing, though. Use it liberally on anything that could use a unique kick, from BBQ pork to ramen. Fan of homemade ramen? This is the perfect ramen hot sauce. Just enough heat and it clings deliciously to the noodles. Combine with your favorite barbecue sauce for a quick-n-easy BBQ marinade. Add to any dish that requires heat for a more interesting flavor than traditional vinegar-based hot sauces. Even a Bloody Mary! This hibiscus and sage infused olive oil is a bright and tasty alternative to traditional olive oil. The hibiscus lends a floral note that borders on sweetness, with the sage balances with a mellow, earthy flavor. Try it in cold recipes that could use an extra boost of flavor, like babaganoush, fresh mayonnaise, or vinaigrettes. As with most infused olive oils, this hibiscus + sage oil is most potent as a finishing oil, but that doesn’t mean you can’t cook with it! Heat will diffuse the flavor a bit, but it’s still tasty. Rub fresh kale with this infused olive oil, then roast with salt and pepper for a crunchy snack. Use anywhere you would use regular olive oil, especially in cold applications like mayonnaise-based salad dressings. Bourbon Barrel Foods continues to impress with their line of bourbon smoked seasonings and sauces. This bourbon smoked paprika is like nothing you’ve ever tasted–bold, beautiful, and ready to liven up any dish! Garnish your favorite soup, sprinkle on top of shrimp or chicken, or toss with olive oil and kale before roasting for a healthy snack that’s out of this world. This is the single-step spice that will make any food pop. Roasted sweet potatoes, grilled meat, tomato soup… Try it on anything! The flavor of BBF’s bourbon smoked paprika is much more intense than other paprikas. A little dash goes a long way. It ain’t just the flavor–this stuff is a beautiful, brilliant red. As a garnish, it adds a big pop of color to a plate! Just in time for fall comes Chef Ellie’s Tisthe Seasoning. Nutty, earthy, and reminiscent of the holidays before your drunk uncle ruined them. Use this spice blend and your selective memory to enjoy holiday nostalgia by adding it to sweet loaves, cookies, chili, buttered toast, or your morning coffee. Use it anywhere you would use cinnamon for a more complex, warming flavor. There’s a teensy tiny bit of heat to this seasoning, thanks to the inclusion of crushed Aleppo chiles. It’s not enough to scare the kids away, but it’ll perk up your dessert just a hair. While this seasoning blend has a sweeter profile, there is zero sugar in it–don’t be afraid to try it in savory dishes! Loving your Terra Kit? Did you whip up something great? Let us know on our Facebook page, tag us @culinariekit on Instagram, or join our Culinarie Cooks Facebook group to share your creations.